In this era of smartphones and big screens, it is safe to say that businesses and events need more than just excellent storytelling and text marketing. You need to take it a step further, you need to start thinking about video production. At Fox and Falcon, it’s our mission to make your video production dreams come true. Based in Maidenhead, Berkshire, Fox and Falcon is a video production company owned and run by award-winning filmmaker, Russell Offord. At Fox and Falcon, we pride ourselves I listening to our clients’ every need. We work with you through the entire production process to ensure that your visions are represented accurately and in the most professional manner. Over the past few years, our founder Russell Offord has gained recognition as a top quality video production expert in London and Berkshire. Although our specialties are corporate videos, marketing videos and music videos, we can tailor our services to suit your needs. With YouTube tutorials and video editing apps becoming more and more popular, it is very tempting to want to do it yourself. However, if you’re going to put out content that will take your business to the next level, you have to hire a professional. Thankfully, Fox and Falcon has got you covered. With the right corporate video production service, you can finally get your target audience to start taking your business seriously. In fact, no matter how great your product or service is, people will not buy into it if they do not know or believe in what you’re selling. That’s where the corporate video comes in. Corporate videos have the power to tell stories in the way that no other media form can. With the right video production company at the wheels, you give your business the power to define its narrative. You give your business the power to move your employees and your clients to action. At Fox and Falcon, we will be right there with you through every step of the way. From the conceptualization stage, to developing a video strategy, to pre-production and up until you have the final masterpiece in your possession, we are committed to providing you with the best possible experience. More often than not, a song is only as good as its music video. In shooting a music video, it’s important to hire a professional that understands the art of storytelling so that the message of your music is not lost in all the editing and fancy gimmicks. Being run by an award winning filmmaker, we understand your music video needs. With the right equipment, the right crew and the perfect location, in no time your video will be doing numbers on the charts. 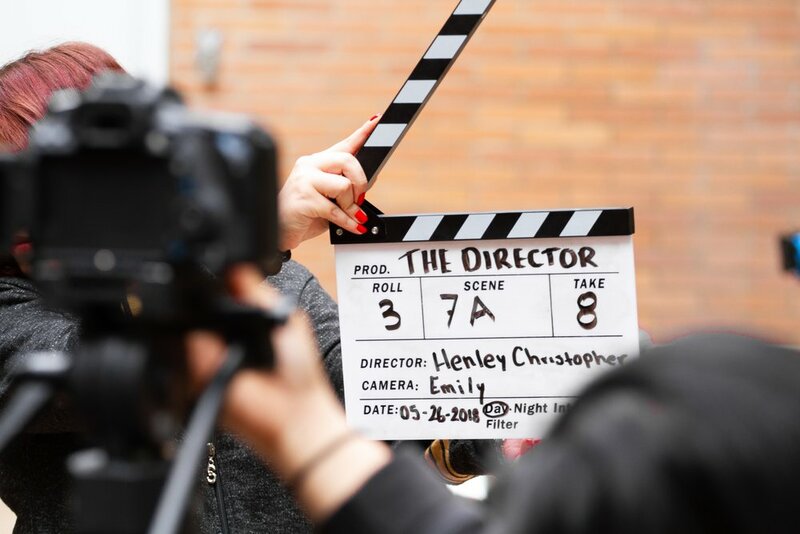 Promotional videos have the power to evoke the right emotions and reactions from everyone who comes in contact with them. What makes the difference is who is behind the lens and the screens. At our company, we are committed to working with your brand to develop a product that will stand out from everything currently playing. We will work with you through the idea generation, through scripting, video production and post production. Our ultimate goal is bring YOUR idea for your product or service to life, so rest assured that you’ll be an integral of the entire process. Event Coverage, explainer videos, video editing, commercials and so much more. Fox and Falcon is a video production company that is focused on connecting you to your audience through the power of the lens. So if you’re in Berkshire or London area, or anywhere around the globe really and you need a video production service customized to your needs, then Fox and Falcon is just the company for you. Thankfully we’re not hard to find, just put a call through and we’ll set up a meeting right away.